Some patients are unable to tolerate CPAP for management of their sleep apnea. If this is the case, an alternative is to make an oral appliance. Call today to schedule an appointment to start making your sleep apnea appliance. Sleep apnea is a medical condition in which breathing is interrupted and repeatedly starts and stops during sleep. Because of the interrupted breathing, there is potential for a lack of oxygen to the brain. Obstructive sleep apnea (OSA): The most common form of sleep apnea, it occurs when the throat muscles collapse during sleep. Central sleep apnea: The brain doesn’t send the necessary signals to the muscles telling them to breathe. Complex sleep apnea syndrome: This is a combination of OSA and central sleep apnea. I haven't been diagnosed with sleep apnea by a medical doctor. What are some signs that I might have this medical condition? I tried using a CPAP, but it was uncomfortable and I felt claustrophobic. What are my other options? In this situation, using an oral appliance to keep the airway open may work better. 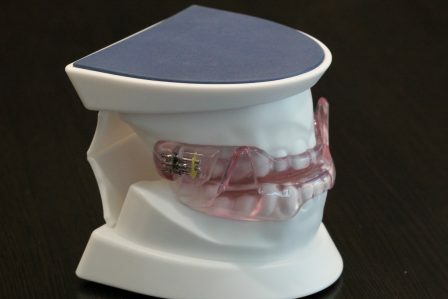 Most patients can tolerate an oral appliance better and find it easier to use than CPAP. OAT is a removable appliance. It works works by advancing the lower jaw forward, and this helps to open up the airway. OAT can reduce snoring and is effective in treating mild to moderate OSA cases. Making your oral appliance is straightforward and easy. It is no different than the process of making a mouth guard or bleaching trays. Impression molds will be taken of the upper and lower teeth. After that a recording of your bite will also be taken. These materials will be sent to a laboratory to make your oral appliance.